Our first gaming disappointment for 2017 is that Platinum Games have officially cancelled their Dragon riding role playing game Scalebound. The game was recently absent from a bunch of future release documents but now it's official. It's such a pity because as you can see from the video, it looked amazing. Super Singer Ariana Grande has confirmed that she has a role in a Final Fantasy mobile game. The singer announced the news via her Instagram account that a character based on her will be added toFinal Fantasy Brave Exvius for mobile devices. It was in our Top 10 most anticipated games of 2017 and finally the team behind the latest installment to the Mass Effect franchise have given us a release date. The game will be set a fair distance from the original games kicking off a brand new story set in the same universe. The developer has reported that the team had taken copies home over the Christmas break to run the game through its paces. 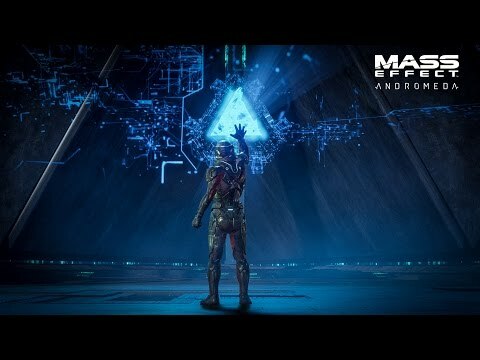 We can look forward to playing the brand new Mass Effect Andromeda from March 23.